Select what items to sell, give away, leave behind and what to ship. Do not include items considered prohibited. On the day of the move place under lock and in a safe place your passports, plane tickets, money, jewelry, school documents to avoid shipping them with your goods. Contact the international moving company at least six weeks before your departure date, to have ample time to find out what documents you need, what items are not to be shipped, check prices and reserve packing and loading dates. Mexican customs regulations are subject to change and interpretation by authorities at different ports of entry/exit. 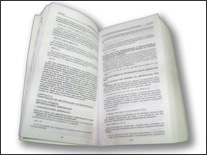 You must know what documents are needed and what is allowed or not to be shipped. Household goods and personal effects shipments are tax and duty free, if all permitted items have been used for more than six months and show evidence of use. All shipments are customs inspected so we recommend not attempting to hide any prohibited item. 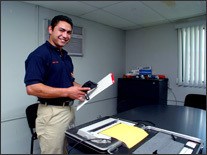 Documents required depend on your particular immigration classification. Returning Mexican nationals need to obtain from the Mexican embassy or nearest consulate a document titled "visado de menaje de casa", that is a consular inventory, after showing proof of having resided out of Mexico for at least six consecutive months. Foreign nationals besides their work visa (FM3 visa) might be also asked for this "visado de menaje de casa" and it is up to customs officials at the port of entry to ask for it or not. For exact information on your particular case, please contact us. 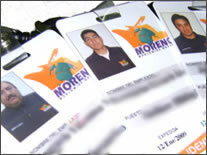 There are other classifications like returning students, Mexican and foreign diplomats, etc. with special requirements for each one. 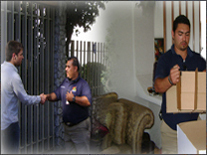 We can gladly provide you with the complete and correct information for your particular case. What to know about customs regulations in other countries? Customs regulations differ from country to country, so we recommend contacting us for more specific information. As a rule, do not include in your shipment any type of foods or beverages, natural plants or soil, drugs, pirated or pornographic items, firearms, ammunition, etc. When you contact us, let us know your plans, nationality, the origin and destination cities for your move, if you already have your visa and what furniture and personal effects you are planning to ship. Based on this information we will quote you a "ballpark price" and if required will schedule a visit to your residence by our nearest agent for a more reliable estimate, then program packing and loading dates. A few days before your move starts: You receive copy of the ID tags with photographs of all workers that will participate on your move. On the day of the move: Crew wearing full uniform and ID tags arrives to your residence. 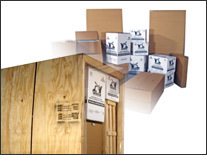 Furniture and personal effects are carefully packed and are inventoried. Goods are loaded on vehicle and transported to destination. 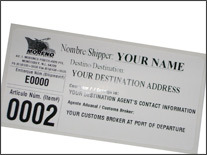 Moreno International will customs clear shipment in your behalf on those countries not requiring your physical presence. At destination all goods are unloaded and placed inside your residence, all furniture is unpacked, beds and tables are assembled, cartons are opened placing contents on open spaces (or are left for you to unpack at your leisure), and all removed packing material is taken off residence. 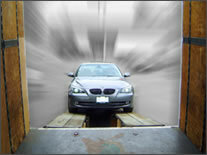 Shipping your automobile by itself or with your household goods depends on the laws of the countries involved. For more information we need to know your nationality, visa type, country of destination, vehicle brand and model and country where license tags were issued. Even though the likelihood of major damage is little, the possibility is always there, that is why we recommend insuring your goods door to door, from packing to delivery time. 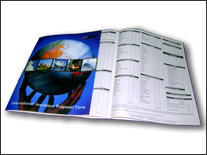 As guideline you should insure for how much it would cost to replace your goods at the destination country. Contact us for more information regarding policy premiums and terms of insurance.